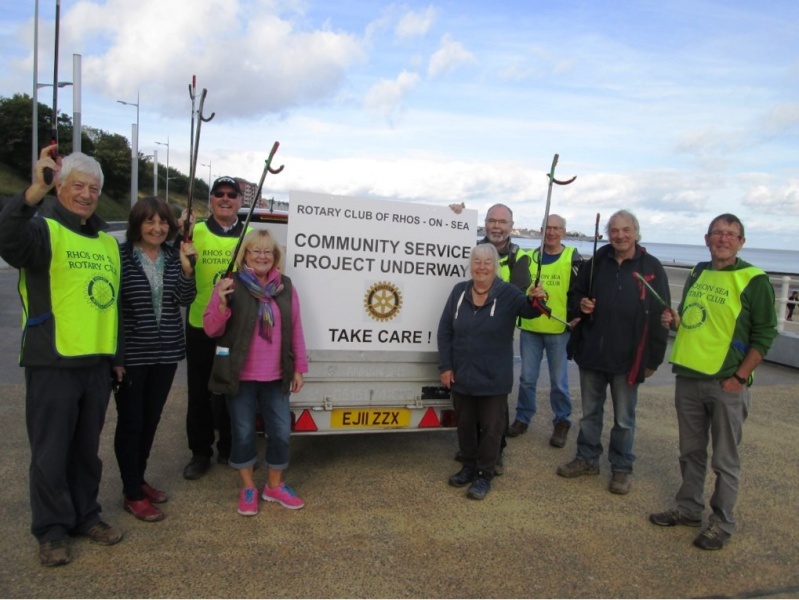 Rotary Club of Rhos-on-Sea - Welcome! 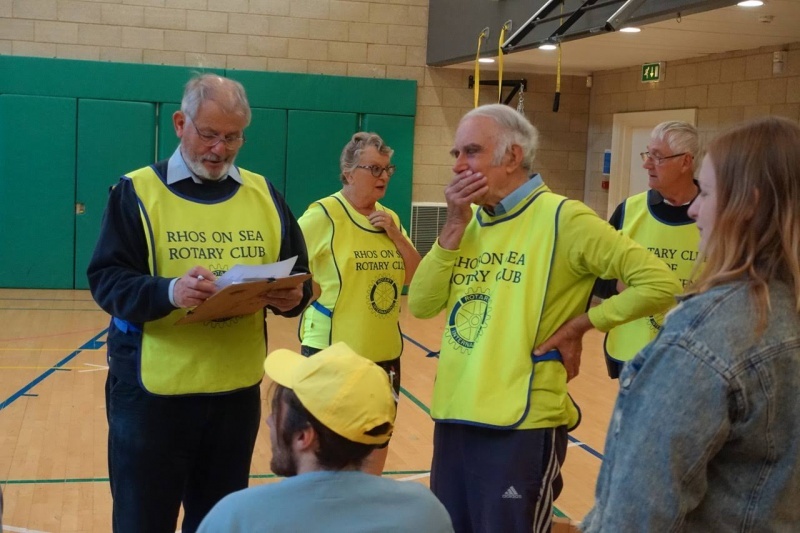 Please use the links to the left of the page to access information on the site.Please note our 'easier to remember' address is www.rhosonsea.rotary1180.org which will bring you to this page automatically. Last night we were visited by Dr Alexander and Sister Amanda Durber of Llandudno Hospital. They accepted a donation of £300 on behalf of the National Osteoporosis Society. “Tree of Lights” switch on. raised over £25,700 for St. David’s Hospice, Llandudno. Club members arrange this event to herald the Christmas season and allow those who have lost loved ones to see a light shining in their memory. Town Council, Cllr. Stephen Williams. this event such a great success. Over the years we have raised over £236,000 from this event. Carol Concert at Capel Horeb, Colwyn Bay. 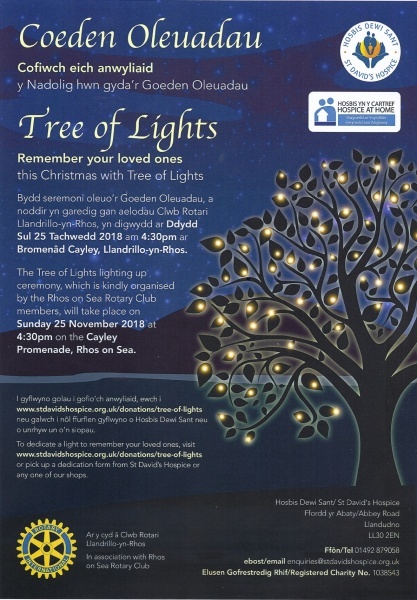 Other communities are building on the success of this event with their own “Tree of Lights” and the club continues to provide expert advice to them, on request. 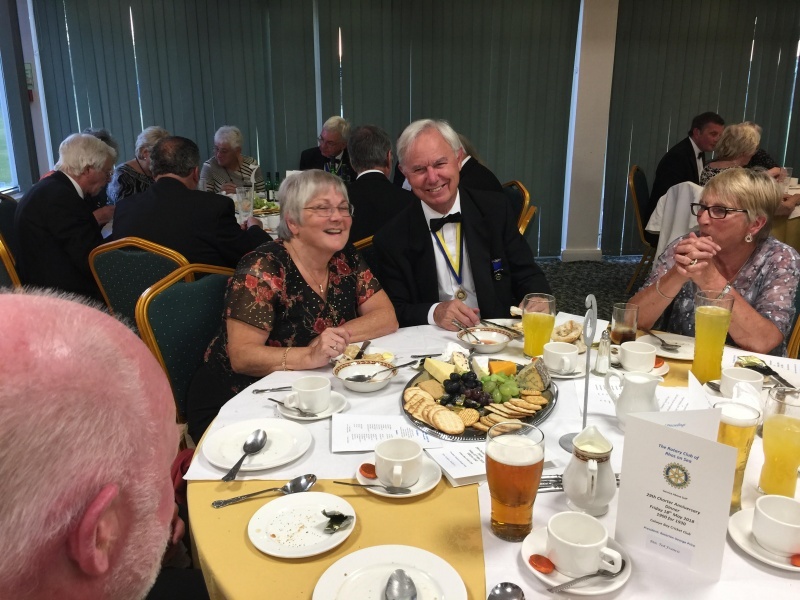 Club President Clive Hampton said, "Every penny donated through Rotary will go to St. David's Hospice, supporting the good work they do in our community. Most of us have lost someone close and the opportunity to commemorate and dedicate time of remembrance, is so important and in doing so at this time of year especially, it does bring some comfort to our lives. It is an important event to us and at the same time supporting this worthy local cause. Diolch i bawb am ein cefnogi." 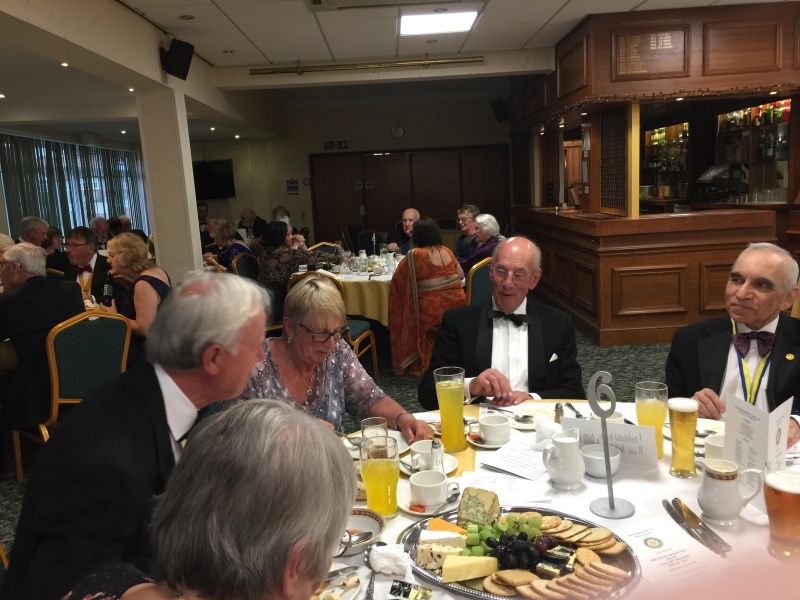 The Rotary Club of Rhos on Sea would like to express our special thanks to all those who worked so hard to make this annual event such a success. 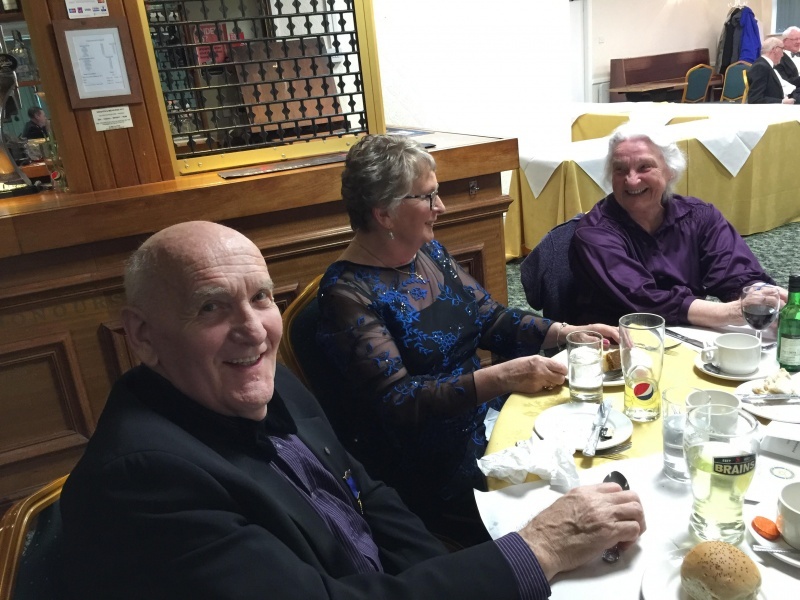 £1466 was raised on the night, another record broken. 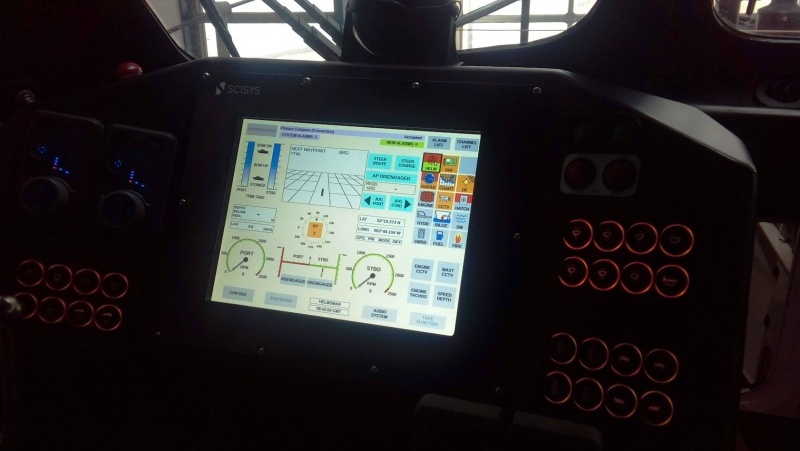 Specialist Engineering Technical Services, Henllan, Denbigh for the lights and power and some great photos. And all those who made this event such a success and helped to support St. David’s Hospice. 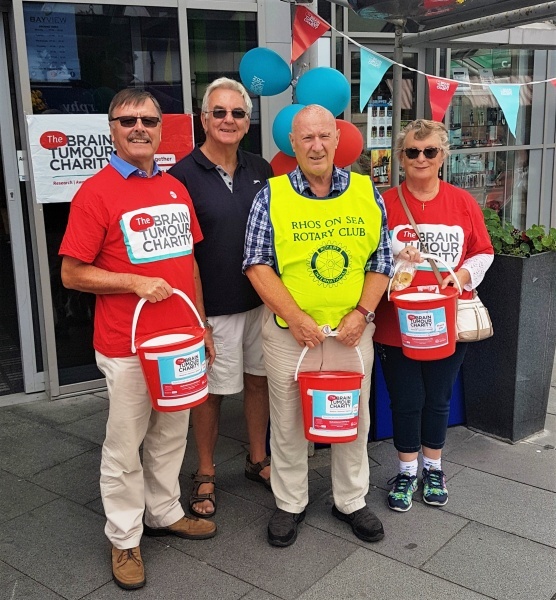 The Brain Tumour Charity has been at the forefront of Rhos on Sea Rotary Club's recent activities. Last week, after hard work fundraising, the Club donated £2000 to this good cause. Brain tumours are the biggest cancer killer of children and adults under 40 years. Currently there are over 102,000 people living with a brain tumour in the UK and 9000 are diagnosed every year many of whom are young children and young adults. 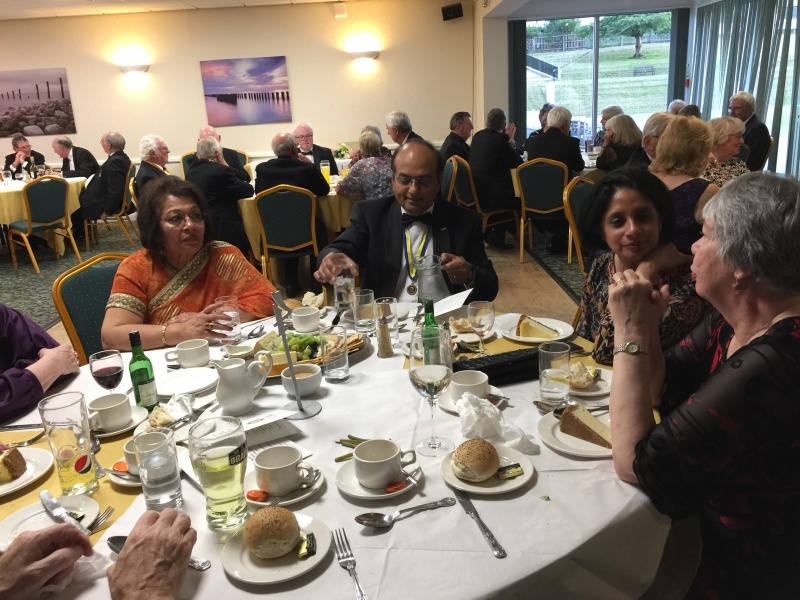 Rhos Rotary President Clive Hampton commented, "This Charity's strategy is to double the survival rates within 10 years and halve the harm tumours have on patients quality of life. Essential laboratory research is ongoing ,but we need to do all we can to improve the life of those affected which our contribution is all about. . This wonderful charity relies 100% on voluntary donations. Less than 2% of cancer research funding is spent on brain tumours. 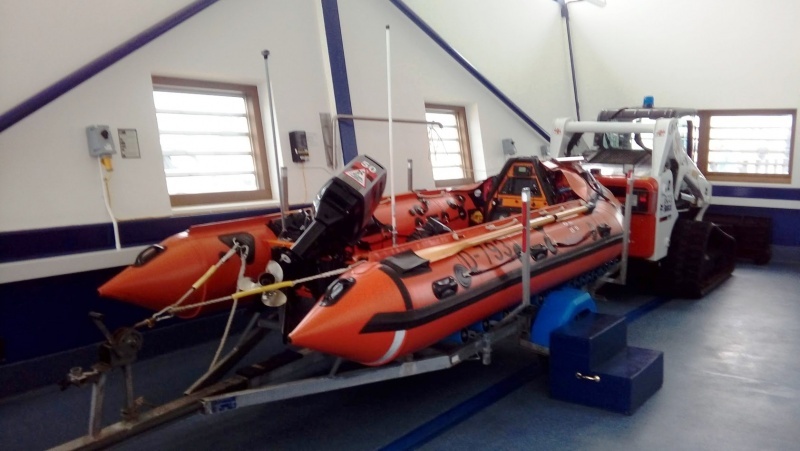 We are delighted to support them." 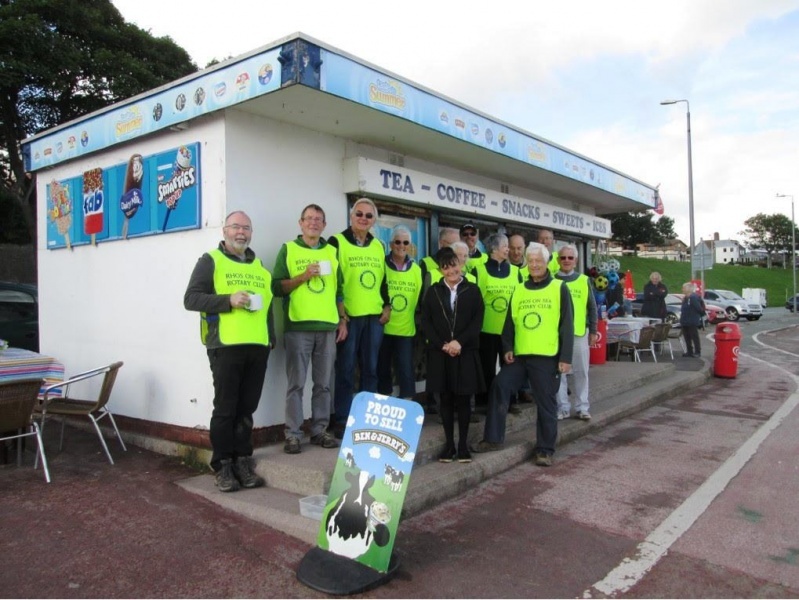 Saturday 29th September Rhos Rotarians and members of the public took part in a beach clean from Rhos Point to the Pier. We also cleaned up the children's play area and the park. Many thanks to Anthony at the Coffee Pot who kindly supplied tea and toast to all. A useful morning's work.
" Now how did we score it last year? "Last Sunday a team from Rhos participated in the District Fun Games held at MBNA Sports facility at Chester. 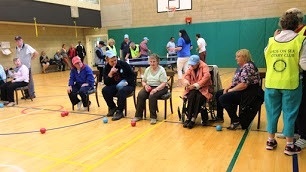 We ran the Boccia with help from Tarporley Rotary Club. A great day lots of fun for all involved. 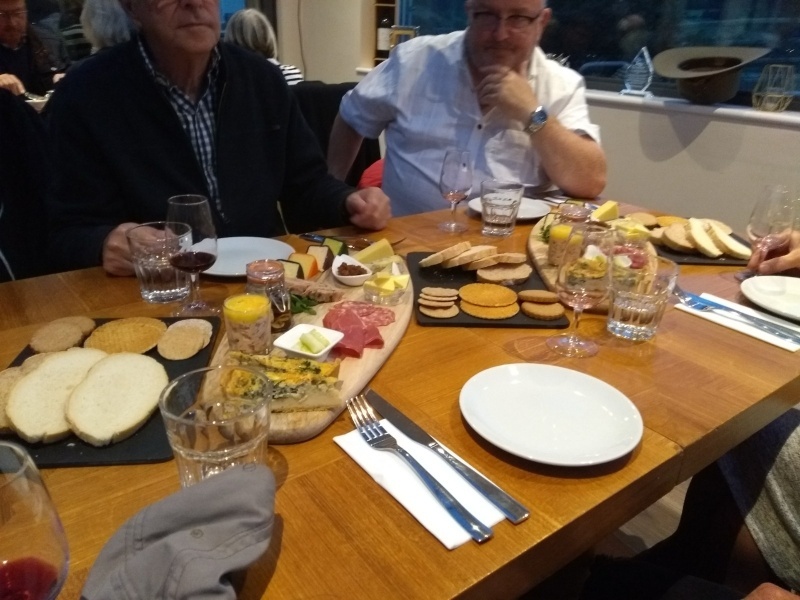 Members and guest recently enjoyed a return visit to Gwinllan Conwy where they learned from owner Colin of the progress since our visit last year. 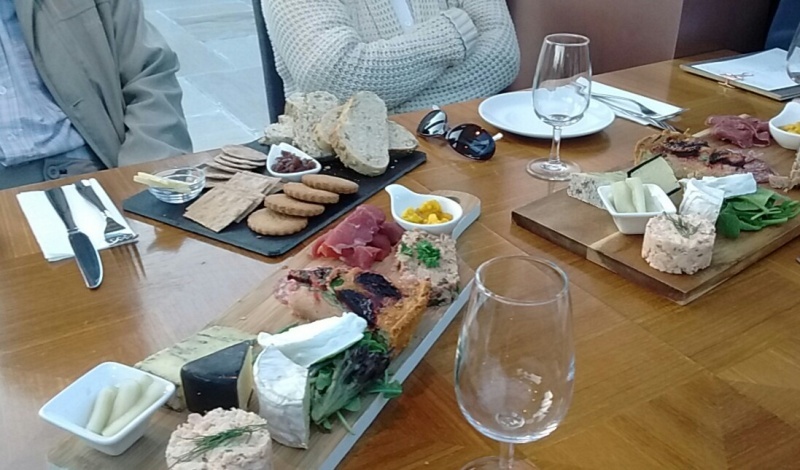 This was followed by an excellent meal featuring local produce and a wine tasting. 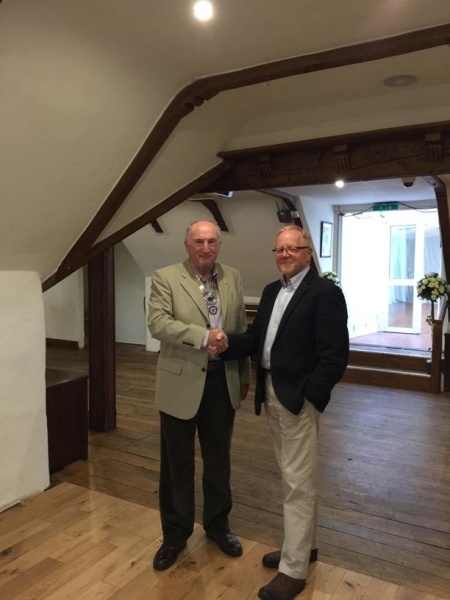 At a recent meeting, Dr Kent Hill was inducted into the club by President Clive Hampton. 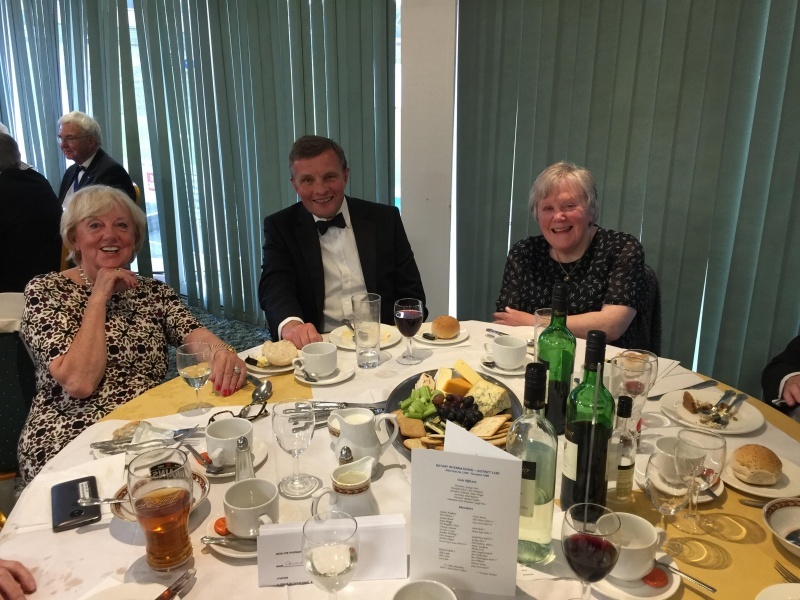 Kent, a native of Colwyn Bay, who has previously been a member of our club, has worked throughout Europe in the Pharmaceutical Industry in research and development. We welcome him back to the fold. More pictures from the collection for the Brain Tumour Charity collection. Many thanks to our local ukelele groups and their friends from Dublin for entertaining us all. 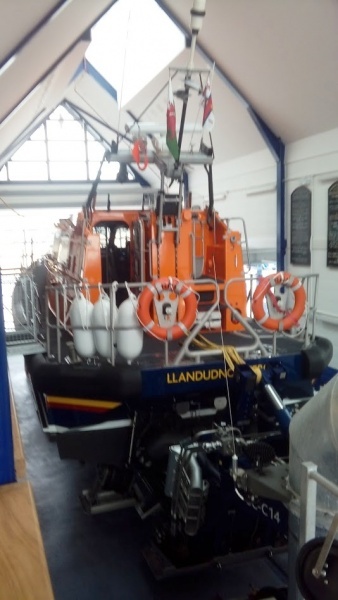 This morning members enjoyed a great visit to RNLI Llandudno and were really impressd by the new lifeboat and equipment. 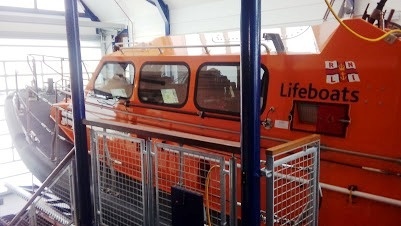 Many thanks to the RNLI staff for sparing the time to update us on the latest news from RNLI. 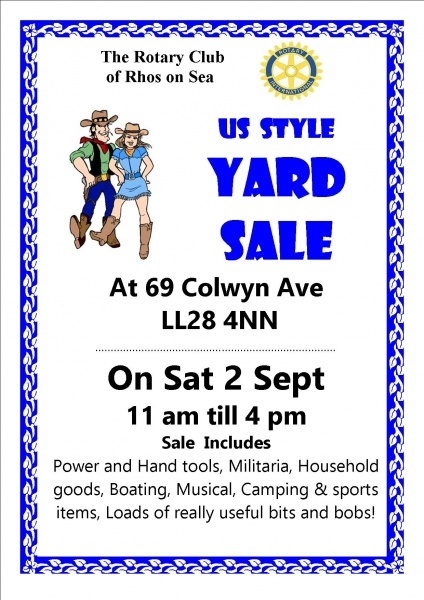 A charity well worth supporting. Small team, Sue, Wyn and Geoff did some tidying up at The Princess Diana Memorial Garden in Rhos on Sea, left a few bits for later in the week as we needed a longer ladder. Watch this space! 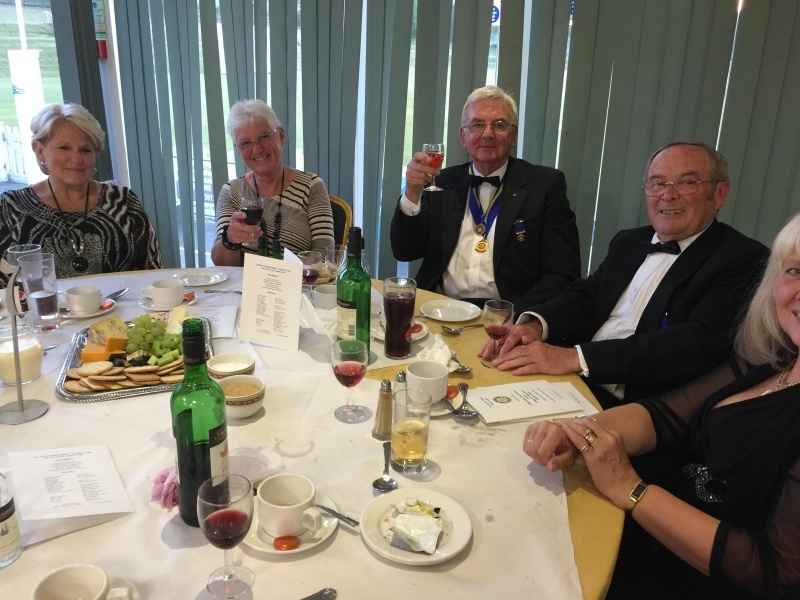 Rhos on Sea Rotary celebrated the 29th anniversary of their charter recently at the Colwyn Bay Cricket Club. A warm welcome by President George was followed by a most enjoyable meal provided by Martin and his staff . The toast to the club was given by our local MP David Jones who entertained us with tales from the Westminster bubble. 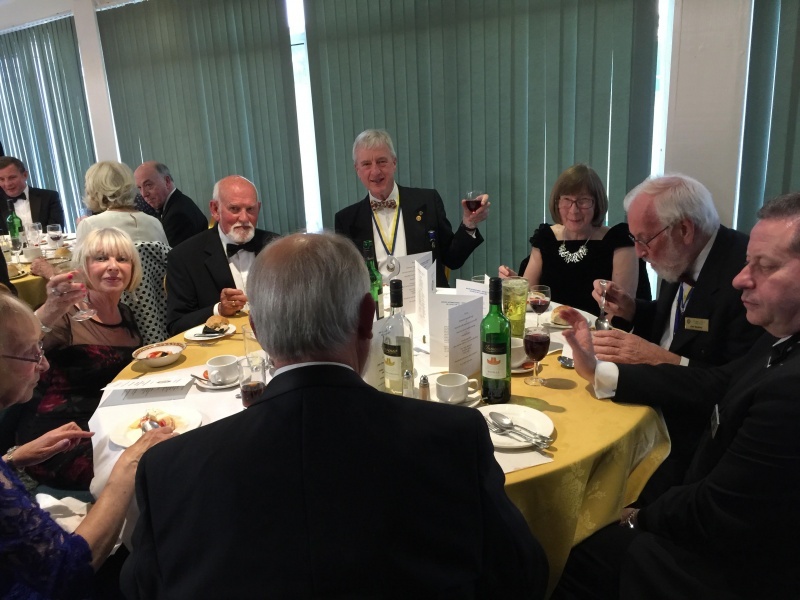 It was a pleasure to welcome many of our friends from surrounding Rotary clubs and enjoy their company. 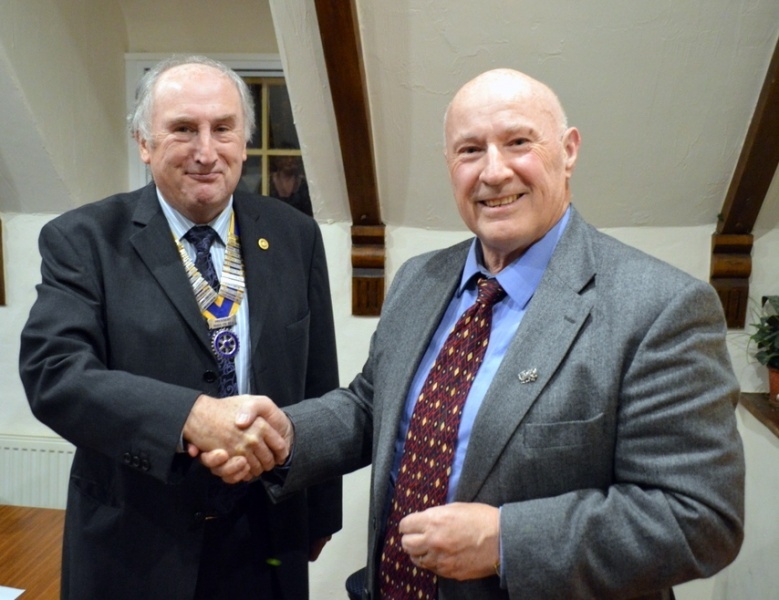 President George Price inducted a new member at last night's meeting. 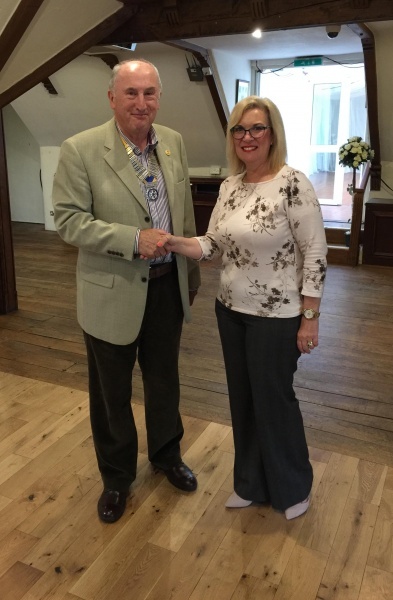 Sandra Anglesea was introduced by Rotarian Jenny Fielding and welcomed by a packed meeting to Rotary membership. 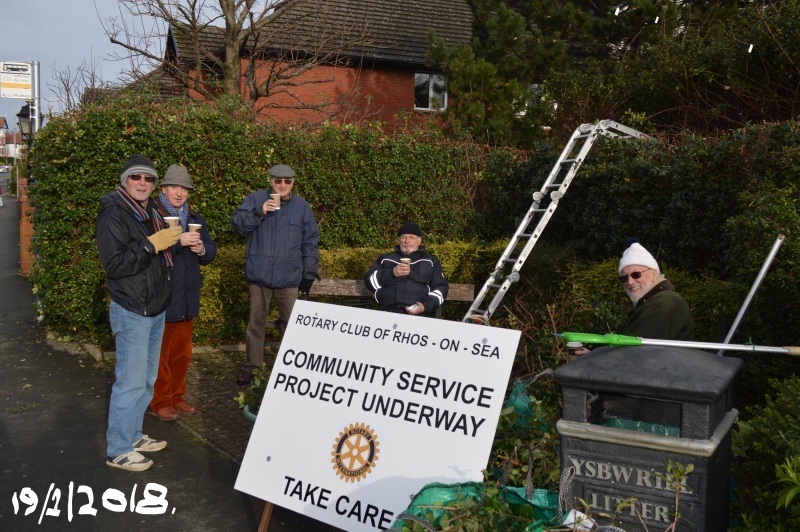 Rhos Rotary tackled the first stage of their project to revamp the Princess Diana Memorial Garden in the village. 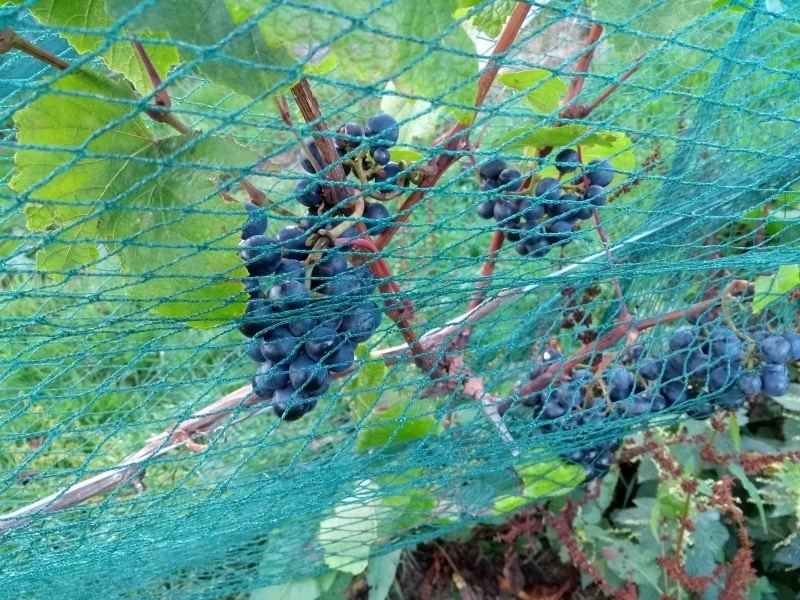 The aim was to reduce the height of the hedge around the garden to around 2 metres. 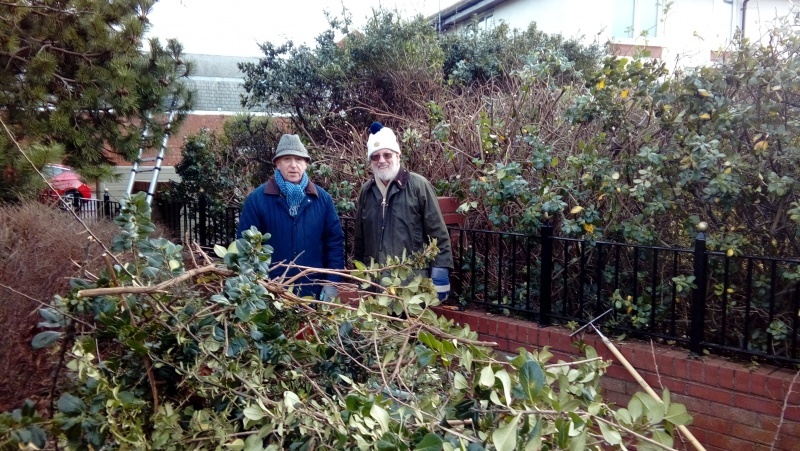 A team, led by President George Price, worked tirelessly and managed to twice fill a Conwy County Borough Council pick up with hedge cuttings . Thanks to driver Luke from the Council for his hard work in helping us to load. Some minor trimming is needed before we tackle to second planting stage, later in the spring. Great fun, helping to improve our community environment. 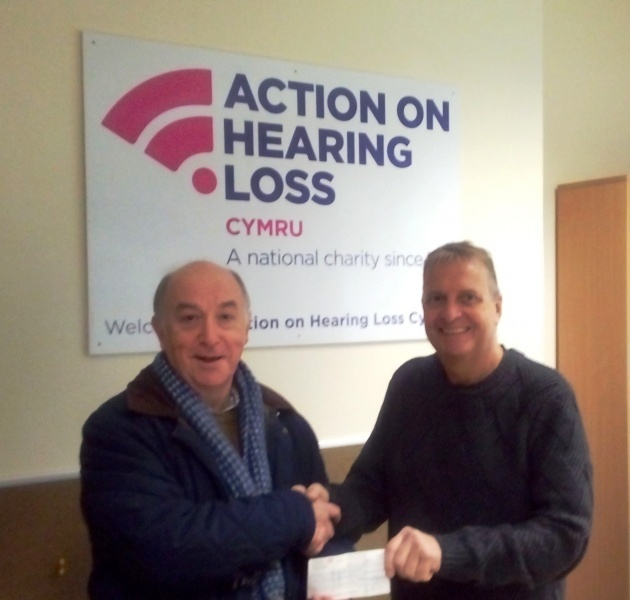 President George Price today presented a cheque for £200 to Action on Hearing loss at their Colwyn Bay office. 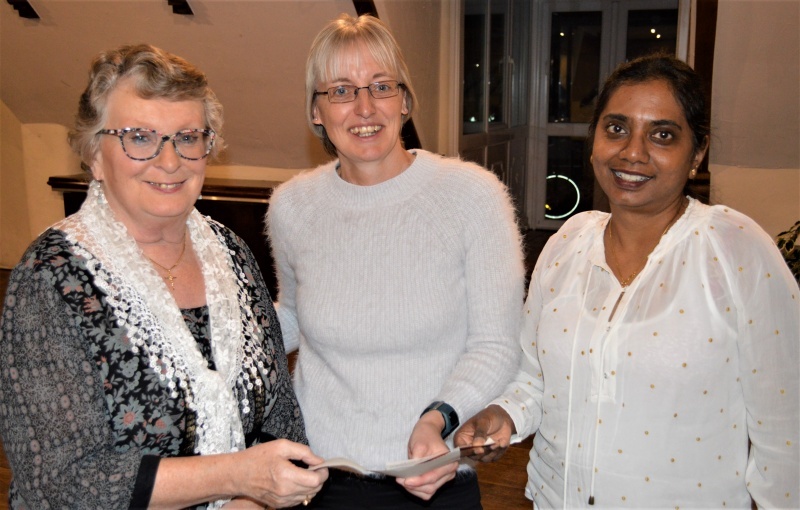 Colin Evans from Action on Hearing Loss had attended a recent club meeting and given a most useful talk on what is available to assist those whose hearing is deteriorating. Colin explained how we can lose our hearing gradually and how this can lead eventually to social isolation and poor quality of life. He demonstrated a wide range of aids which can be of assistance to those who are hard of hearing. Several members already wore hearing aids and were able to recount their own experiences and the improvements available. If you want to test your hearing it can be done over the phone. Dial 0844 800 8880 and follow the instructions. Both ears are tested and the results given at the end. It takes about 5 minutes per ear. Give it a try. 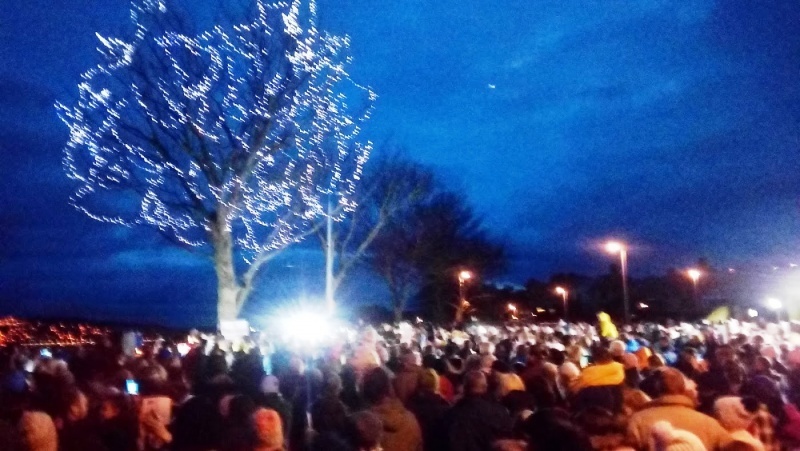 On 26th November hundreds flocked to the Cayley Promenade to witness the switching on of the Rotary Club of Rhos on Sea's Tree of Lights. Beulah Brass and Cor MeibionColwyn accompanied the carols. The Mayor switched on the lights to many oohs and aahs. The Tree of Lights allows us to remember our loved ones in the lead up to Christmas. All proceeds go to support St.David's Hospice Llandudno to whose staff we would like to send our grateful thanks for their exceptional support during this campaign. 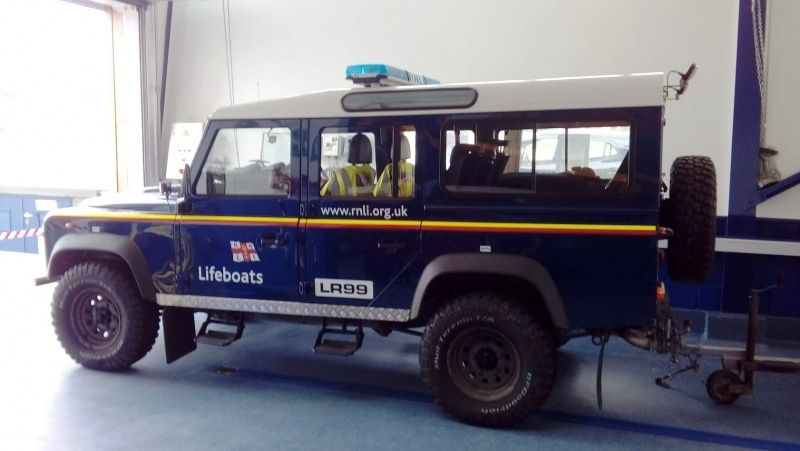 We are hoping this year to break the £200k barrier since we started the event 18 years ago. Many thanks to all those who came and supported our event and if you were unable to get there we know you were thinking about us. 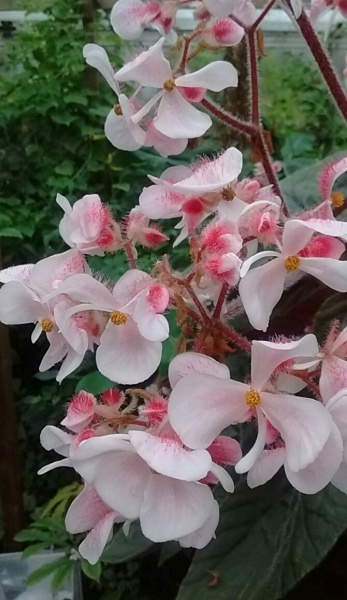 About 15 members of the club with partners visited the University of Bangor Treborth Botanic Garden situated on the south side of the Menai Straits between the Telford and Britannia bridges. Most of us had no idea that garden existed and we only found our way there because John Pack's experience! We gathered in the lecture theatre to hear a fascinating account of the history of the land and gardens given by the Director. He also told us that there were three other staff and dozens of volunteers, without whom the whole place would not manage. The University only gives an upkeep grant of £5000 per year; the rest comes from fundraising, support from the National Heritage Lottery Fund and from the Confucius Organisation in China, since there is a close link with Treborth and its Chinese garden. 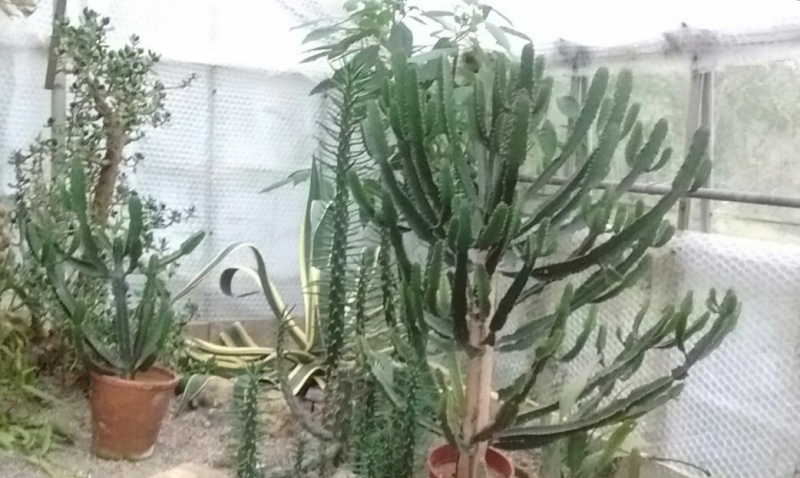 After the talk we were taken to three of the plant houses with displays of various exotic plants, including lots of orchids and cacti. At our last meeting Colin Evans from Action on Hearing Loss gave a most useful talk on what is available to assist those whose hearing is deteriorating. 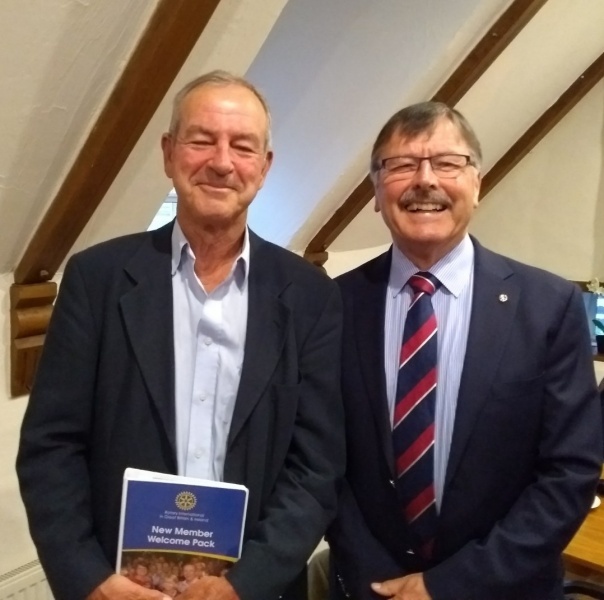 R.I.P Michael, "a true Rotarian"
At last night's meeting President George Price inducted our first new member of the Rotary year. Felicity Coleman, known as " Flick", has recently retired from the NHS were she worked as physiotherapist. 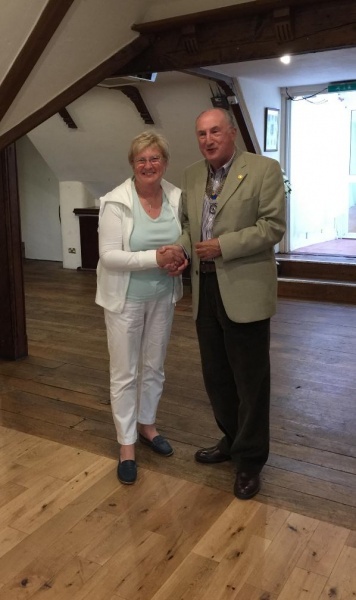 We welcome Flick to the wider world of Rotary and am sure she will make a great contribution to our club. Our evening started with a Treasure Hunt around Rhos on Sea organised by Wyn Jones. 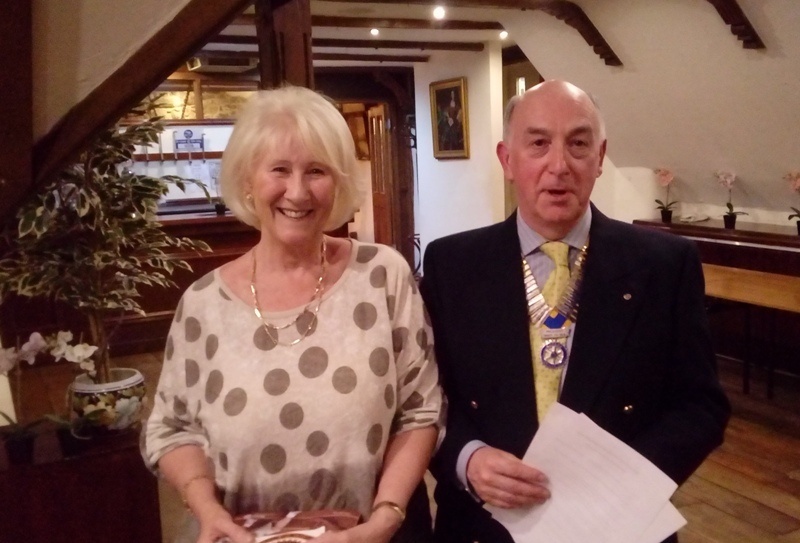 The winners were Roy and Jan Whittington who won a bottle of "top quality" wine. A fun night out with friends and partners. Many thanks to Wyn for organising the game. 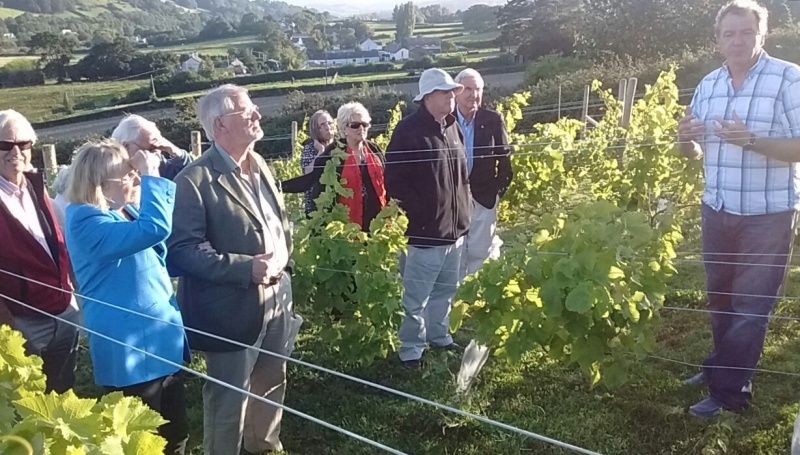 Last night members visited Gwinllan Conwy an award winning vineyard close to our village. 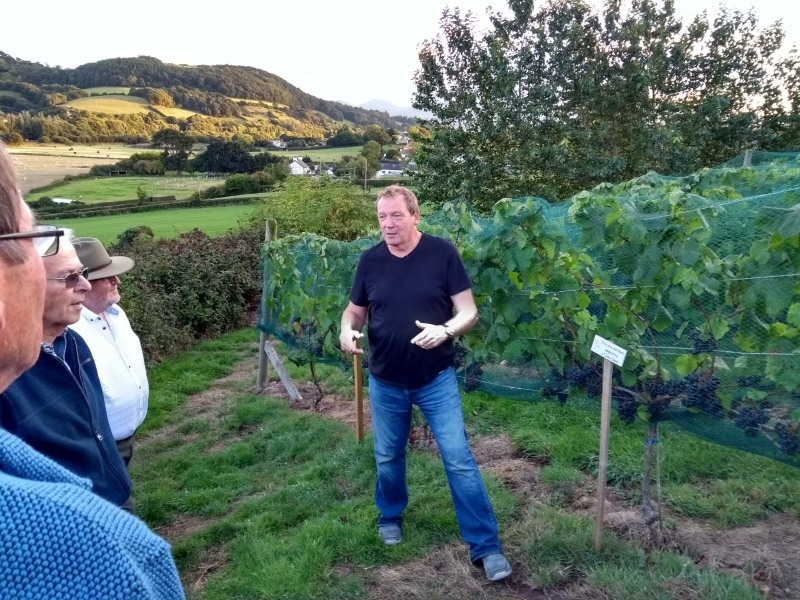 Owners since 2012, Colin and Charlotte Bennett have transformed part of the valley to create a valuable local asset which benefits from the "foehn" effect to create a microclimate. Their exceptional Pefriog sparkling wine won a Silver award at the Iatest International Wine Challenge. 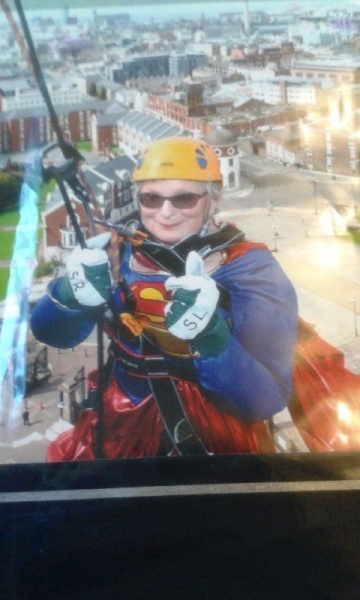 Last Saturday a Rotarian Supergranny from the Rotary Club of Rhos on Sea tackled an abseil from the 100 metre tower of Liverpool Anglican Cathedral in aid of Rotary Charities. Well known for previous knuckle riding challenges this was taken with her usual aplomb. Evening Train Trip to Blaenau Ffestiniog. 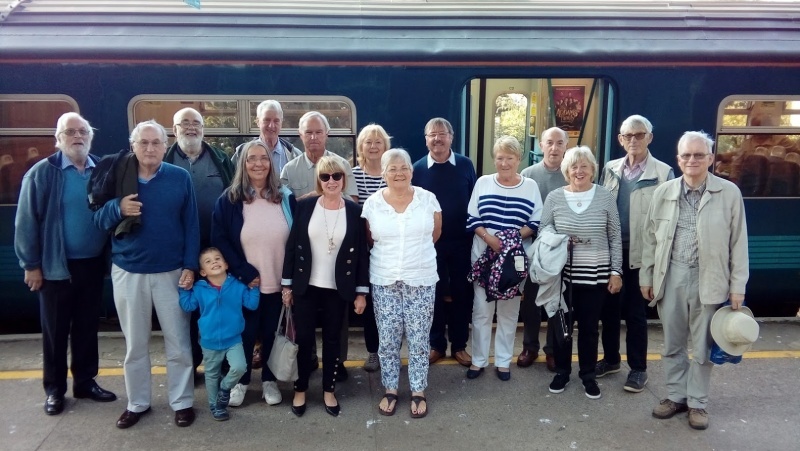 Last Thursday evening, following a meal at the Station Hotel, members and friends took a trip on the Conwy Valley line from Llandudno Junction to Blaenau Ffestiniog. Beautiful scenery along the Lledr and Conwy valleys, a first for most of us. Many thanks to Rotarian Clive Myers for organising the trip. 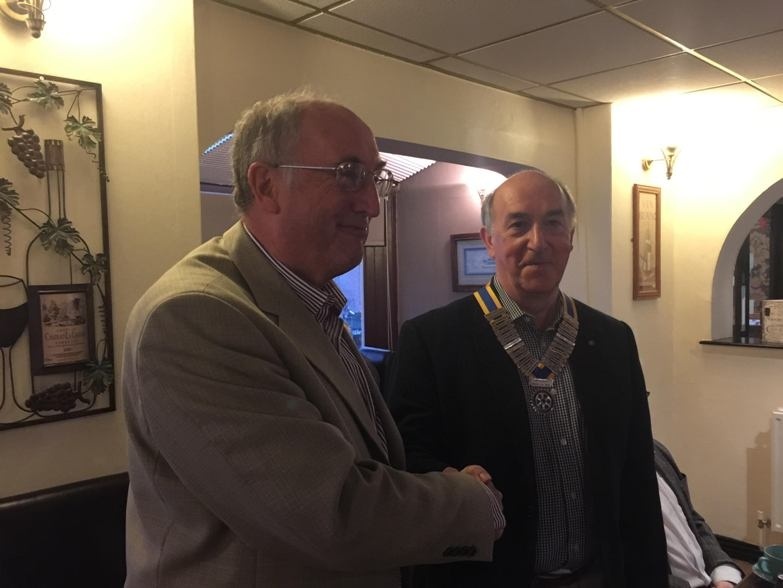 At a recent meeting our new President Rotarian George Price was inducted by 2016/2017 President Geoff Price. 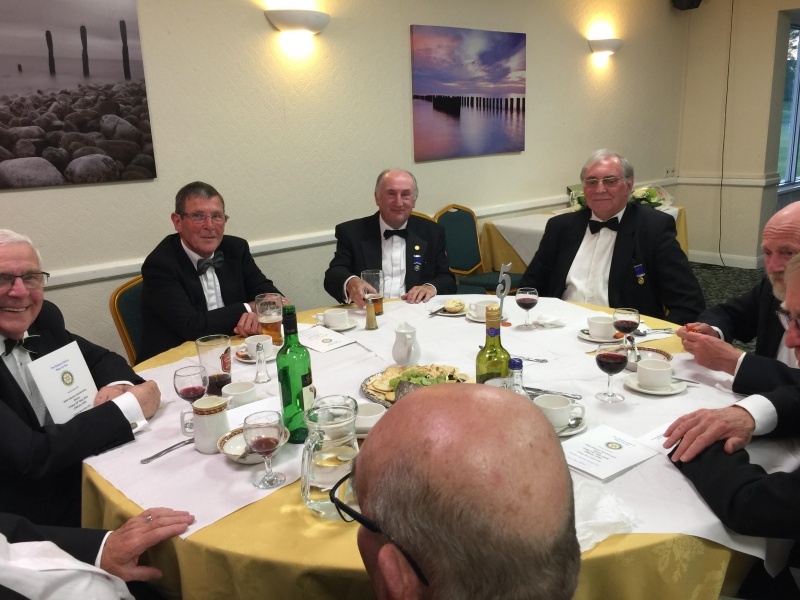 At last night's meeting 5 new members were inducted into the club. We also took the opportunity to have a group photo. We wish our new members a warm welcome to our club and a happy time in Rotary . We now have 5 prospective members!! 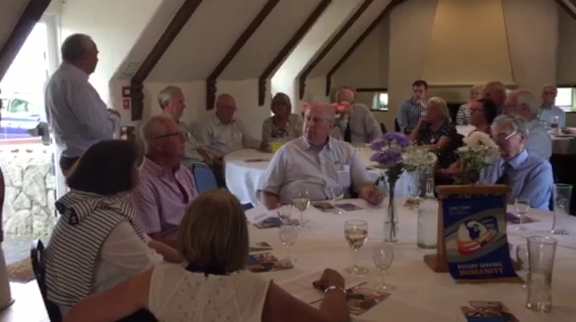 Last night we held a Membership Recruitment Evening at the Rhos Fynach. 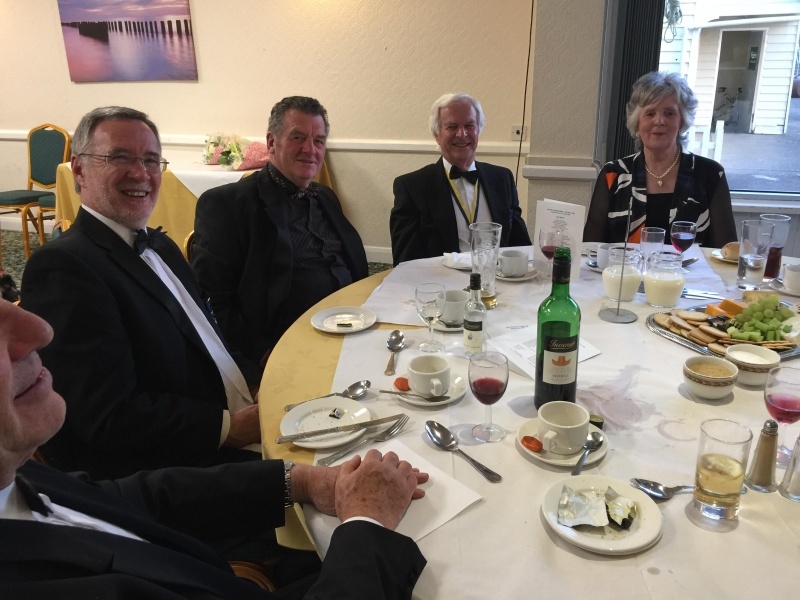 8 prospective members attended and were given an introduction to Rotary by club members and District Membership Recruitment Officer Tony Cotton. 5 completed application forms for membership. Great result. We have several others who were unable to attend so we will be chasing those up. 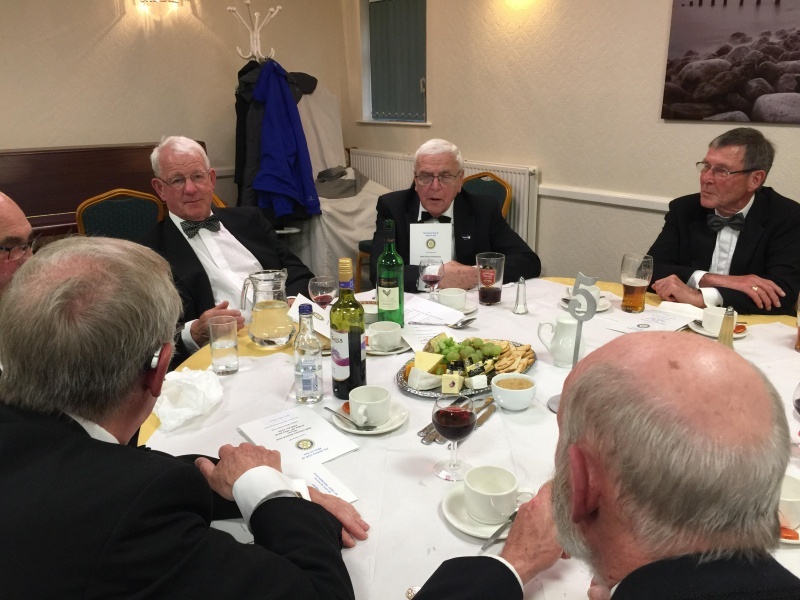 At a recent meeting President Geoff Price welcomed three new Associate Members to the club. Chris and Lyn Lyon and Sue Williams. 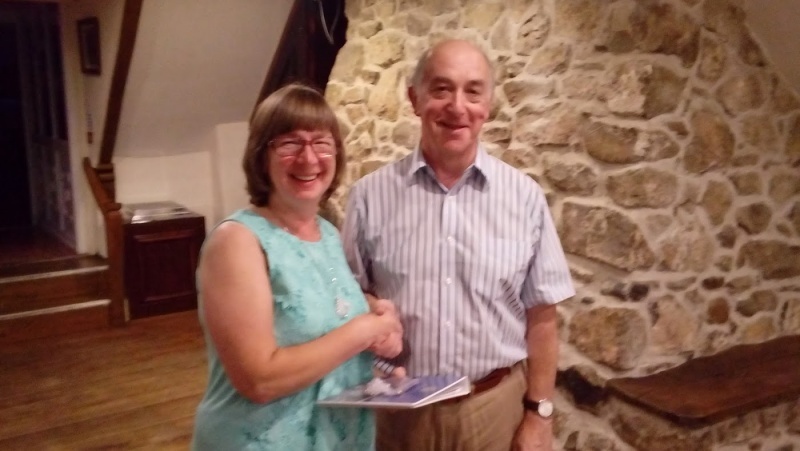 Following our meeting, which was a rehearsal for next Thursday's Membership Recruitment Evening, Sue decided she would like to become a Full Member. Maybe we are moving along the right lines? 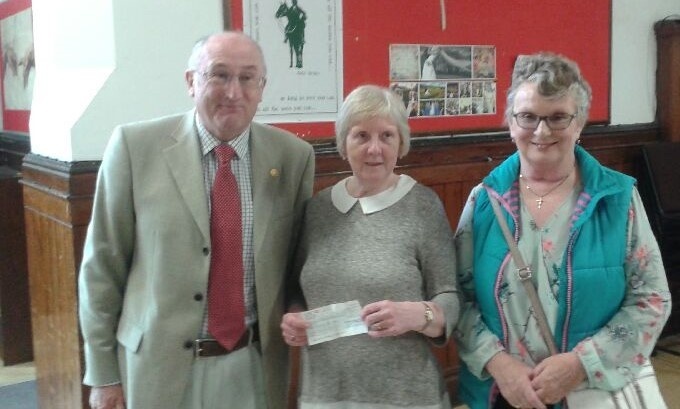 On Tuesday last President Geoff Price presented a cheque for £200 to the Conwy and North Denbighshire Branch of the Multiple Sclerosis Society at their meeting at St.John's Church Colwyn Bay. 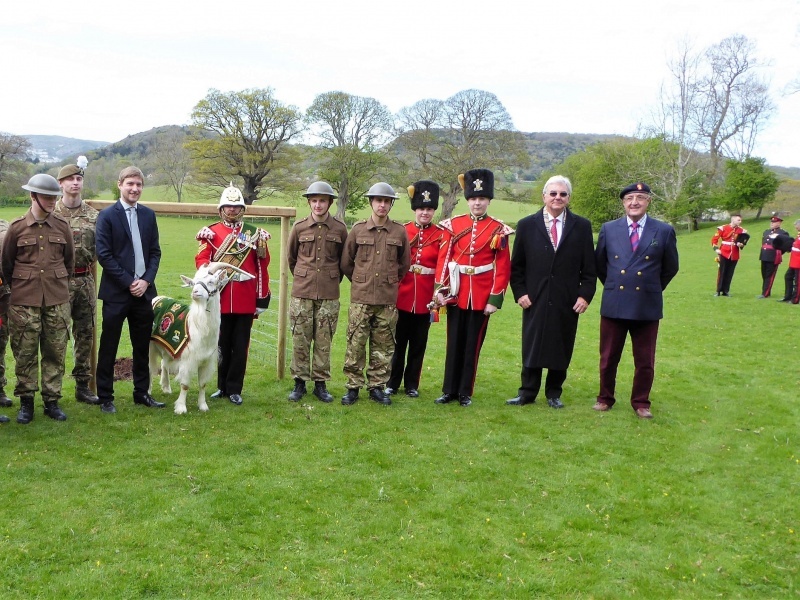 A visit to WW1 battlefields organised by former Rotarian Merfyn Thomas and the chance collection of an acorn from the Matetz Wood battle site by Rotarian Wyn Jones of Rhos-on-Sea Rotary Club, resulted in an oak sapling from Mametz Wood being planted by the current Lord Mostyn at Bodysgallen Hall recently. 4000 Welsh men where either killed or wounded during the battle. 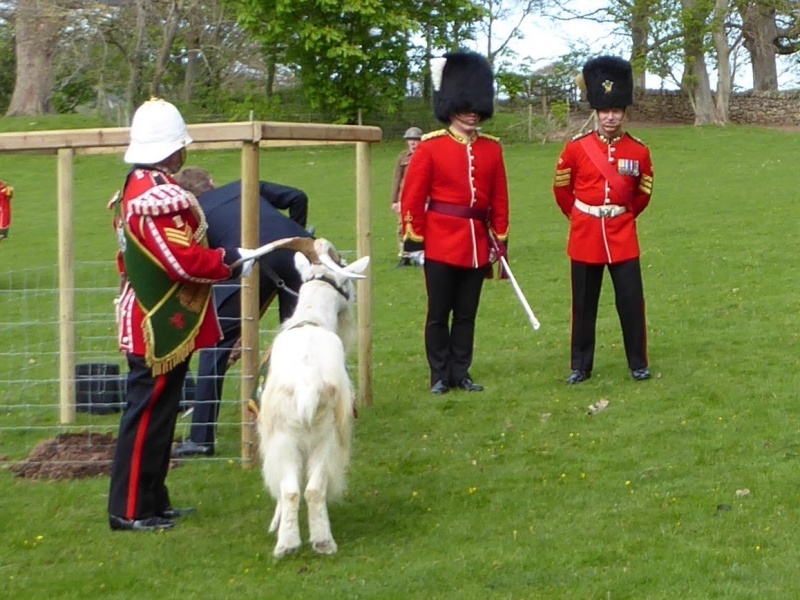 The sapling was planted in the same field at Bodysgallen Hall where a century earlier another oak was planted to commemorate the battle. It was in this field where the regiment was first mustered by Lord Mostyn's ancestor. 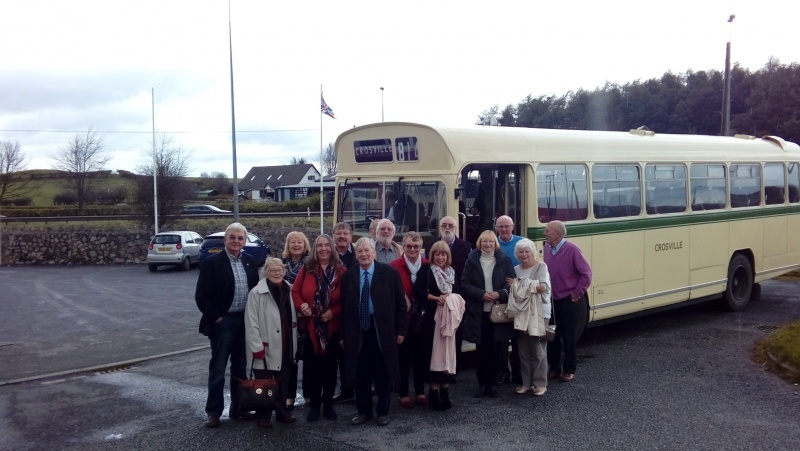 Today members enjoyed our annual mystery bus trip organised by Rotarian Clive Myers. We travelled on a fully refurbished,1967 ERG3 Bristol, formerly operated by Crosville Motor Services throughout North Wales. Our trip took us along the coast in an easterly direction passing through Talacre, Mostyn, Whitford and Carmel. We sampled an excellent Carvery at the Travellers Rest on the A55 near Lloc. Clive provided an insight into many local landmarks from trees to mining history. This morning we presented a cheque for Â£11,127.44 to St.David's Hospice, Llandudno which had been donated through our Tree of Lights event. Since its inception we have raised over Â£179,000 for the hospice thanks to the generosity of our local community. Each individual donation, in memory of a loved one, is recorded in a Book of Thanks kept in the chapel at the hospice. On Thursday last President Geoff Price inducted our first new member of 2017. Owen Morris is a Business Education Consultant, originally from Holyhead. Owen currently lives in Colwyn Bay. 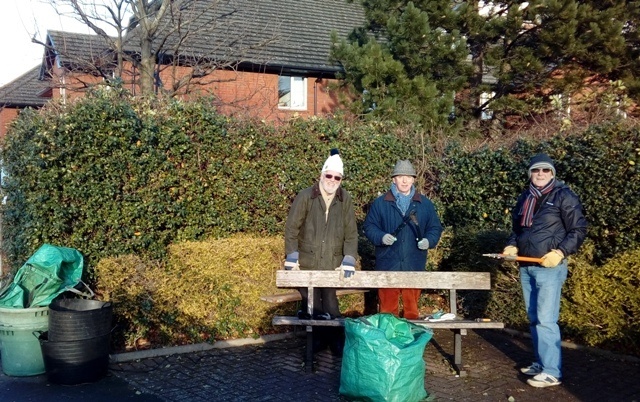 A team from Rhos on Sea Rotary took on a challenge to spruce up their local park. Benches were rubbed down and painted. Posts were similarly tackled. The odd crocus was added to the bank. We are looking forward to a fine display in the Spring. All in all a most enjoyable few hours improving the look of our neighbourhood. We hope you like it. 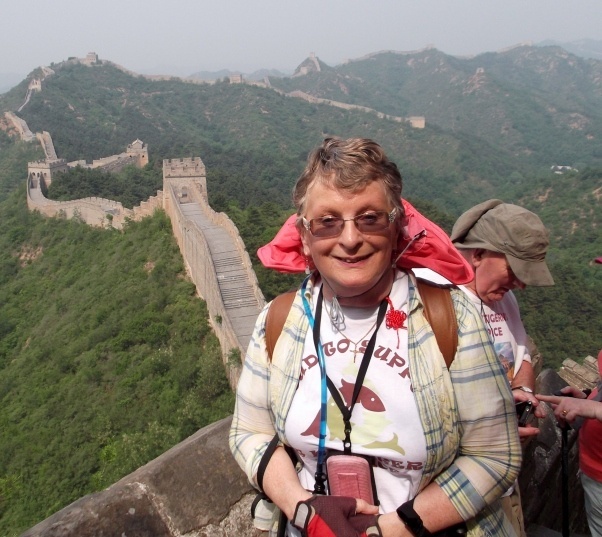 At our last meeting club member Pauline Hogan retold her adventures when she trekked along the Great Wall of China last year in aid of St. Kentigens Hospice. High temperatures, strange food and steep climbs were taken in their stride, well almost. 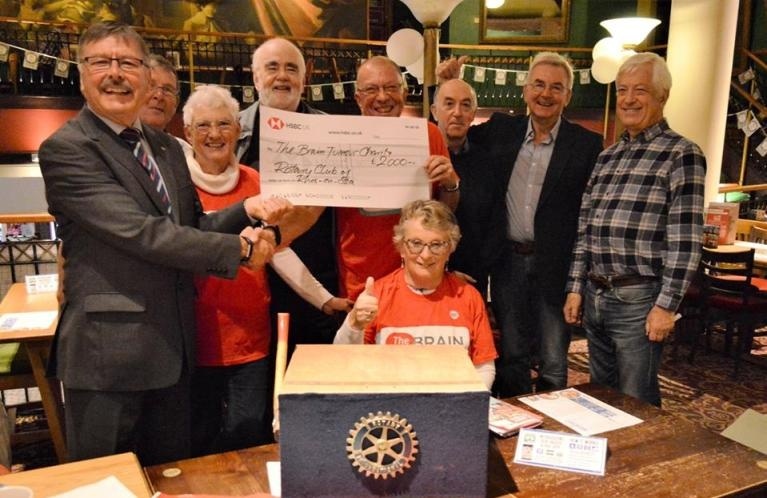 Ably lead by Rotarian Rev Clive Southerton of the Rotary Club of Prestatyn the team raised over Â£133,000 for the hospice, a magnificent achievement. Where will our superhero go next on her travels? Nepal or Rhyl? Who knows?